It's comfort food at its finest. It reminds people of home - of growing up - and of Mom's kitchen. 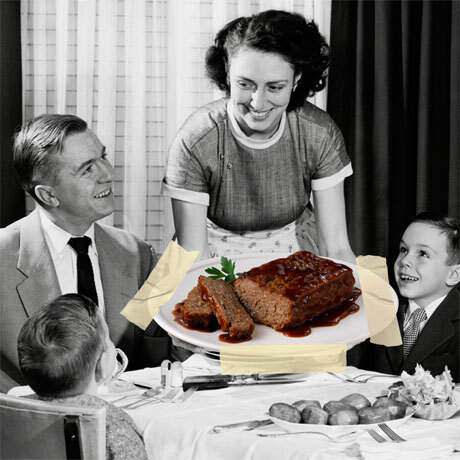 When we were kids, our Moms didn't think about fat grams, calories or leaner meat choices when she made her meatloaf. 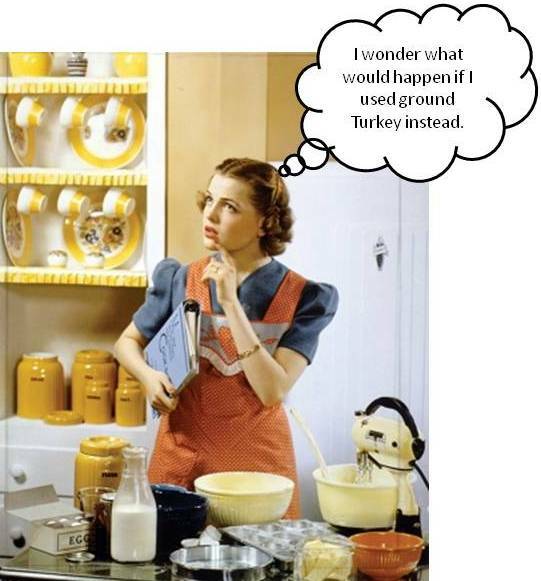 So whatever you do, don't tell Mom that you're using turkey in your Meatloaf! Diced your sun dried tomatoes and set aside. Dice your onion and celery in small pieces. Time Saving Tip: I like to use bagged frozen chopped onion - it's quick, it's easy, and you don't have to worry about the left over half-unused onion. Open freezer, take out bag, there ya go. Chopped onions. No tears necessary. Lookie Here - Another Time Saving Tip: For the celery, I dash over to the salad bar at my local grocery store, and grab about 1/3 cup of celery. Again, its quick, its easy, and you won't have an ENTIRE bag of celery hanging out in your refrigerator that you might never use. In a small saute pan, pour 2 Tbsp. olive oil and throw in your celery and onions. Saute until onions and celery are tender. In a large bowl, go on and dump your bread crumbs, diced sun dried tomatoes, celery/onion, Parmesan cheese and eggs. Shhhh, before Mom sees, throw your turkey on top. Salt and pepper top of turkey. Before you get to mixing the loaf, line a 9 x 13 inch pan with foil. Now, get your hands in there and mix away. Grab your loaf mixture and plop it in the foil lined pan. Mold away into a nice square-ish shape. Sorta like the size of a brick, but wider and not as thick. When combined, wash your hands really well - like your Mom taught ya. Note: I'm gonna ask that you pretty please not leave out this next part. It really adds a little zing zang zoom to it. Get out a small bowl along with your tomato paste and brown sugar. Scoop out tomato paste into your bowl and add 2 Tablespoons of brown sugar. Mix it all up and start spreading all over your meatloaf. Spread it around all pretty-like. Just like Mom would do it. Cover with foil, and bake for 45 minutes. Uncover and bake an additional 15. Take out of oven, and let your loaf rest for about 15 minutes before transferring to serving plate. Now doesn't that look just like what Mom use to make? But a little bit healthier. My husband has always stated (in our 7 years of marriage) that he did not like meatloaf. I have always told him that it did not make sense because meatloaf has everything he likes in it. He finally relented! I made this meatloaf for his first taste of meatloaf in many many years. He loved it and even went back for seconds. This one is a keeper! I have never liked the idea of meat loaf but you just made it look appetizing! Think I will finally give it a go! Im a new follower, and just wanted to say that this meatloaf looks amazing! Hi Sally! You have a new fan, I hope you continue to post blogs, you're awesome!